Thomas C. Boysen was born in Oslo, Norway in 1970 into a family of musicians. He studied classical guitar and lute at the Norwegian State Academy of Music. After achieving his diploma there in 1995 he went to Germany to study with Prof. Rolf Lislevand at the State Academy of Music in Trossingen. 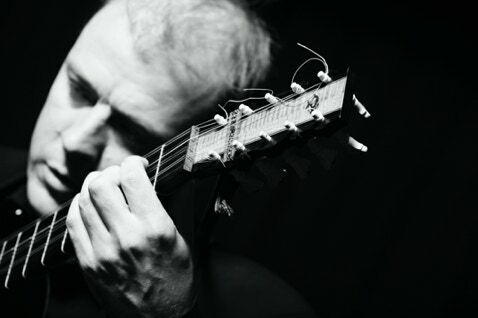 Since finishing his studies Thomas C. Boysen has established himself as an accomplished soloist and Continuo player and has among others been working with Balthasar-Neumann-Ensemble, Collegium Vocale - Gent, Armonico Tributo Austria, Le Poème Harmonique, Akademie für Alte Musik - Berlin, Freiburg Baroque Orchestra, Emma Kirkby, Rolf Lislevand and Paolo Pandolfo. He has played concerts in most European countries, USA, Hong-Kong, Mexico, South-Korea, Colombia and Cuba and participated on more than 60 CD recordings on labels like Glossa, Naive, Sony, Harmonica Mundi and K617.